It is hard to believe but the Moozak record label has turned 10! The child has grown up and this had to be celebrated with a 2 day family gathering on October 20 + 21, 2017. The anniversary party took place in a former truck repair shop in Vienna’s 17th district which still houses various equipment from it’s original purpose. 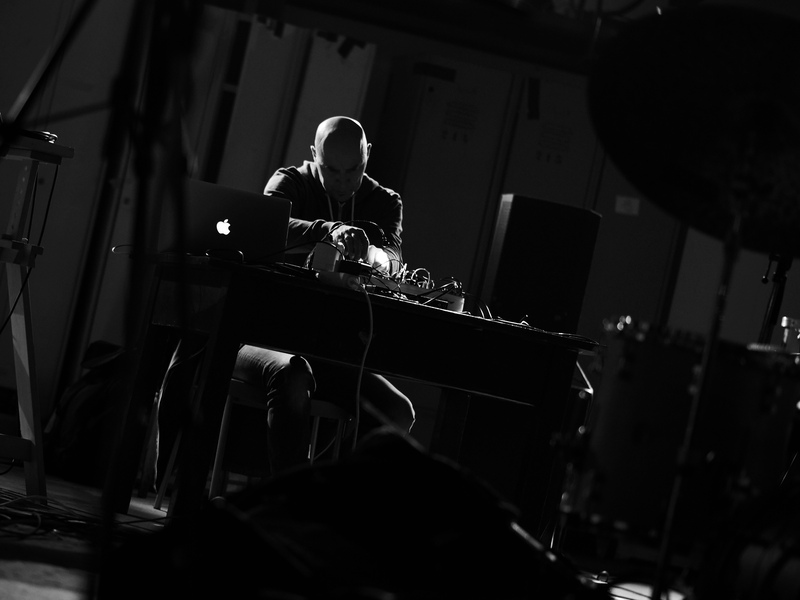 This was exactly the right environment for plenty of experimental sounds, from radical free improvisation to noise, from modular synthesizers to voice solo…. 12 concerts with with altogether 27 participating artists. A big thanks to Clemens Hausch and all his helping hands for organizing this great event! I played a solo set on day 2 utilizing my little modular rig and (of course) my long grown max live patch. Although the venue is pretty large it came across pretty lush. I tried to explore different timbres and pulsations, rather concentrating on single sound objects to be developed throughout the 30 minute set. However, it was a pleasure to be part of this event and I hope Moozak will continue to explore the different angles of unusual musics for a long time to come. As always with Moozak events Markus Gradwohl took a bunch of excellent pictures (as the one shown here). You can check put the whole collection here. Previous: Previous post: Is the imagination analog or digital?